I receive ’email alerts’ on a daily basis from Google and Yahoo. I monitor key words and phrases in our industry and am notified when press releases, articles and other blog posts are published. It helps me stay current with news and trends. This morning I was alerted to a free screensaver being released with pictures of log homes and rustic scenes. I visited the site and downloaded the file and I was struck with an idea that I thought I would share with you. Many of my readers are in the log home or log & rustic furniture business, but this suggestion works for any business. Make your own screensaver and offer it for download from your website. Imagine photos of your products being displayed on the screens of prospective customers. Imagine office environments where a person is displaying your screensaver and other people have an opportunity to see it. Imagine a huge potential for free advertising at zero cost! A screensaver is nothing more than a collection of photos, and there are many free or low cost screensaver building programs available for download (do a Google search on “screensaver maker programs”). I imagine that you probably already have his-res photos of your products, but if not the are easy to produce. Don’t try to make this a hard-sell brochure for your products, take the classy, more subtle approach by adding a comment such as “Screensaver courtesy of www.MyCompany.com. If your screensaver looks like an advertisement, most people will not use it. But there is nothing wrong with giving credit to the product’s creator. 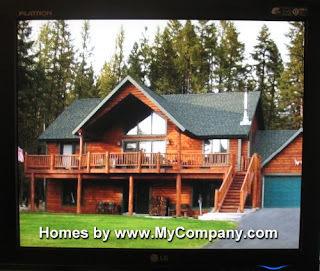 As an example, a log home builder might want to show a home being built in various stages of construction and then feature scenes showing different rooms, seasonal pictures, or a collection of different homes you have built over the years. This is a zero-cost advertising opportunity, but you can promote it as a big event. Email every client and prospect on your contact list and tell them about the free download. Encourage them to tell their like-minded friends. Write a short press release and post it to www.prnewswire.com or any free press release distribution service. Contact your local newspaper and inform them of the offering – they may choose to write a story about it. If you have a blog (and you should), promote the free download in a post and with a permanent link from your blog. And of course, add a ‘call to action’ on your website about the free download. Those of us in business know how expensive and potentially ineffective some advertising can be. However, it is often the case that less obtrusive, under the radar promotions such as this pay greater benefits than high dollar ad campaigns. 1 comment to Screensaver or marketing opportunity?